Last week I asked you to tell ASICS about mastering your fitness barrier for a chance to win 1/5 pairs of their brand new long distance running shoe. 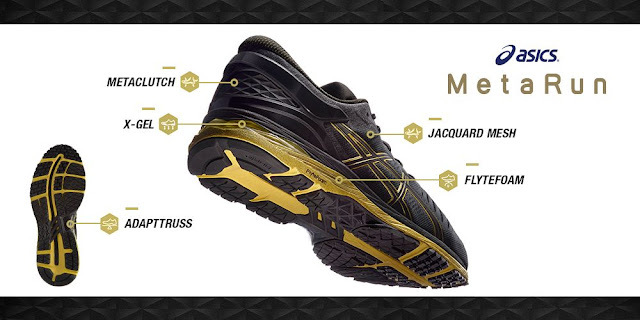 The MetaRun was three years in the making and combines five brand new technologies. A newly patented carbon fiber reinforced two piece stability system beneath the arch which will reduce pressure in the runner's arch during long distance. A hybrid of ASICS high-tech gel. Strategic design and placement of the X-Gel pads is significantly reduced which results in a significant reduction in weight. A single layer of jacquard mesh reduces weight and improves fit. I for one am excited to check out this groundbreaking shoe. The MetaRun was scientifically designed for long distance running and it will be the first of its kind on the market. 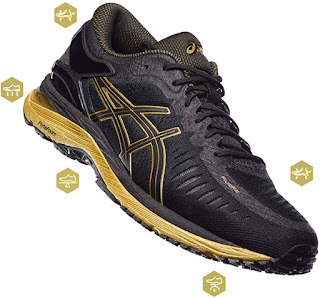 Be sure to enter ASICS #MasterIt instagram contest between now and December 4th. They are selecting 5 lucky winners to bring home a pair of this revolutionary shoe. Share on Instagram what you feel mastering a fitness barrier looks like. Follow the instructions below and 5 lucky winners will receive a pair of this yet to be released shoe. #MasterIt.